Strada Biancha Albania and Eastern extreme of Barrage line. G.S. Dole Collection. 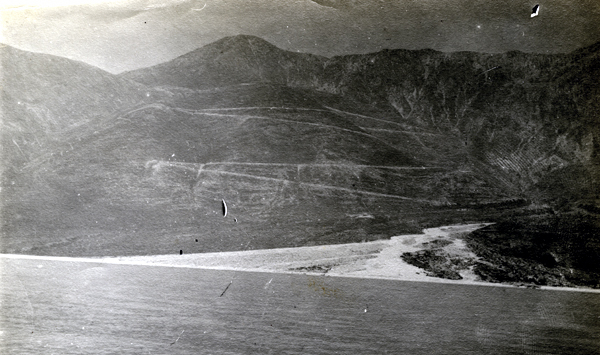 A photo showing the stunning mountain scenery on the Albanian coast, at the point that at one time marked the eastern extreme of the Otranto Barrage line.